PCSkiGal Gets a Dog - Ski. Play. Live. Four months ago today my best friend in the whole world died. 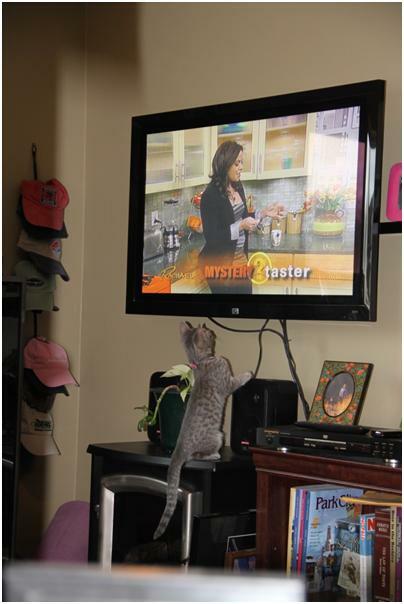 It took me all of three days to fill the emptiness in the house with… a kitty. I hated feeling that there was no one home but me but I just wasn’t ready for a pup. I needed to mourn, to ski, to gear up for basic training all over again. Sixteen years ago, I put my heart and soul into Tenaya. The 8- week old furball was dropped at my feet late one evening in a SLC McD’s parking lot. We did puppy classes, aggression training and finally got our Canine Good Citizen award along with a certification for the Utah Animal Assisted Therapy organization. My Aussie survived three crappy boyfriends and one amazing one (Ryan), a couple of one nighters, a move to Bend Oregon, a new baby (she actually stayed with me in the recovery room), and my bout with breast cancer. I’m tearing up now. Anyway, I never want to replace her per se but I miss having a companion. 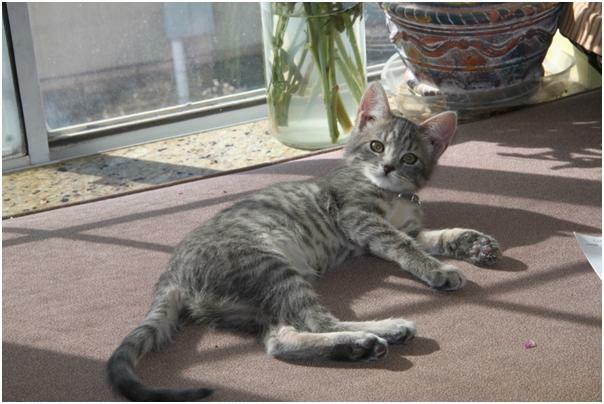 Willow, our grey tabby sleeps in my office on Tenaya’s dog bed behind me or on top of my desk. When I get up to go somewhere, she follows. She has a thing for sleeping on my forehead at night and her antics constantly make me laugh. But she’s not a dog. As the snow melted, I would see families out on the trails with their pets; I’d drive by Gorgoza Pond after dropping Sage at school and wish I had a dog to take swimming too. Then this coffeetable book- The French Dog by Rachael Hale- showed up in the mail with all sorts heartwarming images of pooches in settings from chateaux to countrysides. 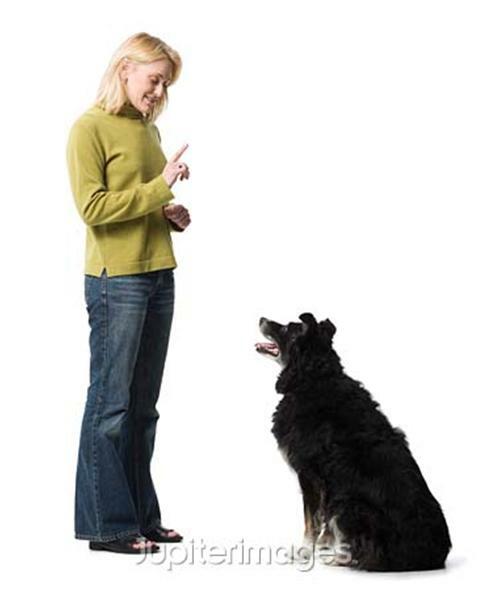 The dog on page 127 looked a lot like Tenaya, I thought. I guess you might say the feeling in my gut was like some weird biological clock. I couldn’t wait any longer. I began combing the internet for breeders near and far. Well, Minnesota was too far but Washington State wasn’t. 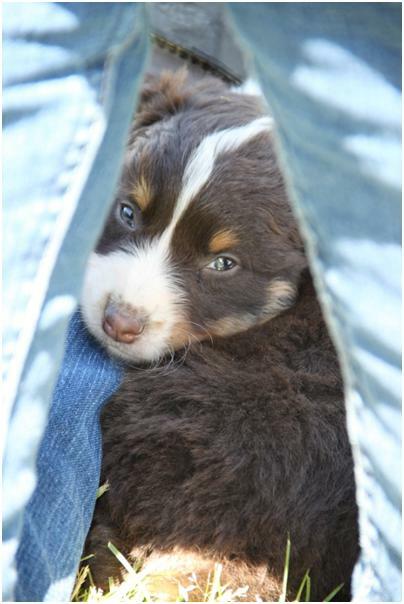 I found a breeder who directed me to her Facebook page. 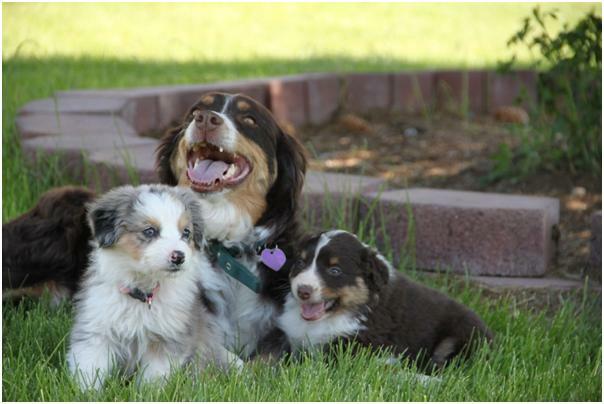 From there, I joined the Australian Shepherd Lovers group and connected with other breeders. Some referred me to friends that might have puppies. Soon, I was overwhelmed. Who had which puppy? And then there was the price. Some folks wanted $1500 and for me to sign contracts stating what I was going to do with the dog. That didn’t sit quite right. If I was going to pay that kind of money you’d think I could own it outright instead of answering to some sort of petowners association. But for that price they actually come with a three-year warranty like a refrigerator from Sears. There was Bonfire and Maybell – gorgeous red tris in Washington – and Tommy – a red tri male in northern Cali. All tested for every possible genetic defect (hence the charge). 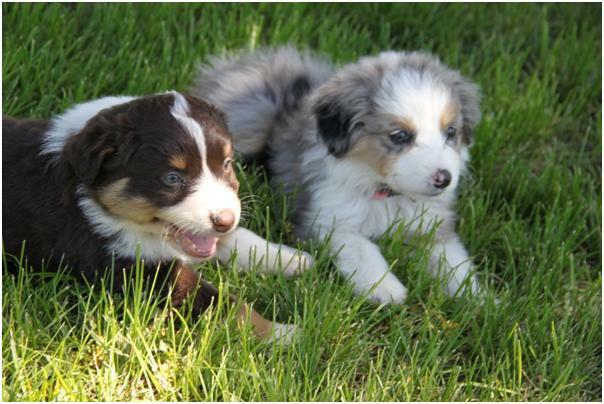 I would never be able to afford these dogs and then add to that the cost of traveling to go get one. Ultimately my search brought me back to Utah. 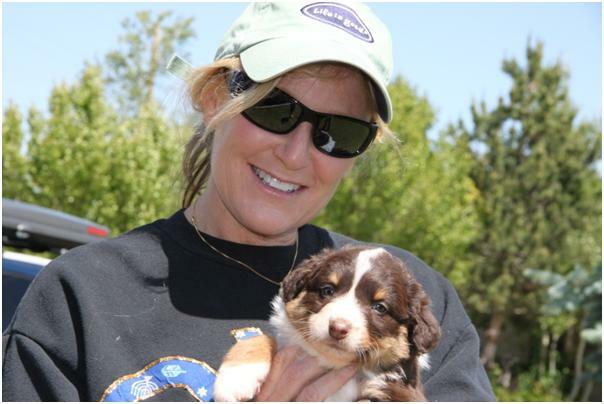 A lovely breeder of working dogs in Panguitch, Utah; discovered right on KSL.com. 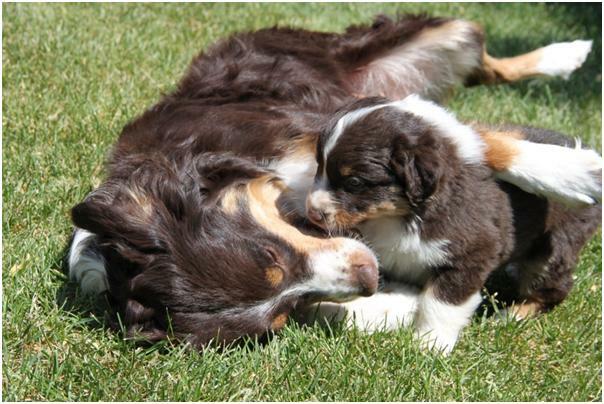 Apparently half of the Aussies in Utah come from her dogs’ bloodlines. 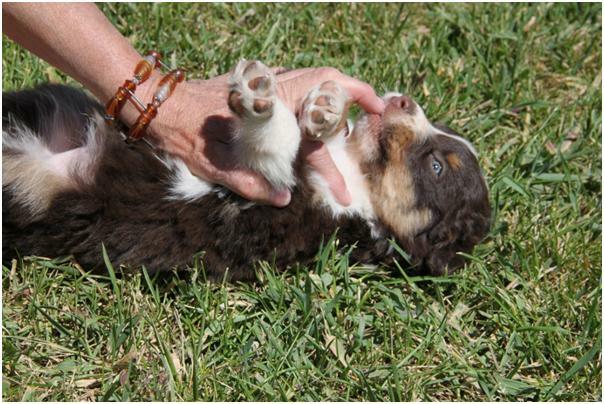 “Puppy” is ASCA registered and right now 6 weeks old. We met today and fell in love. I want him to stay with his family for another week or two before coming home to mine. I am sorry to everyone who now hates me for not rescuing a dog from a shelter. To be honest, I looked there too. But no Aussie pups. Mixed, yes, but I want pure. There was a reason why 16 years ago I chose the breed and Tenaya’s legacy runs deep. 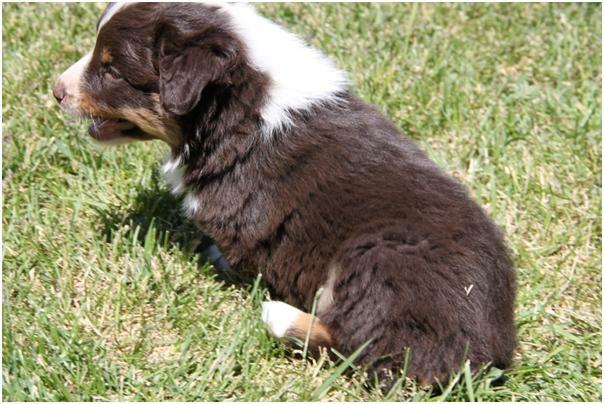 She was the greatest dog I ever had and once you have an Aussie you never go back. 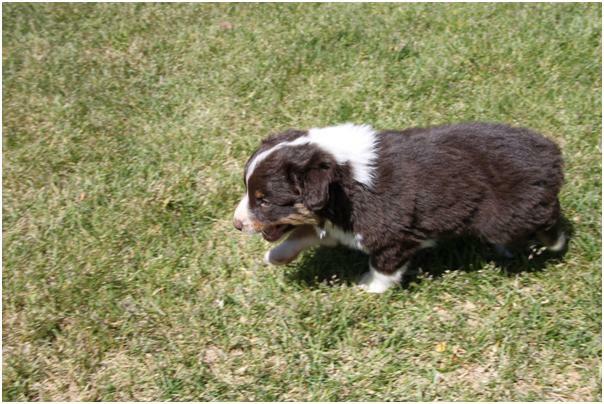 The breeder says that if we come up with a name, she’ll start calling the pup by it. I’d love some ideas so please comment! P.S. Lorena has two female black tri pups for sale. They are the last two of 13! If you are interested, send me a note. You’re right… there’s nothing like a dog. I should know, I’m married to two. Here’s to the second love of your life (sorry Ryan).